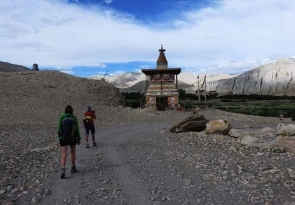 ﻿Situated in the North of the Annapurna Himal and bordering Tibet (China), the Mustang Region used to be called Mustang kingdom and was closed to foreigners. Even after it was included Nepalese territory, entry was tightly restricted for foreigners. Consequently, it drew much attention as prohibited Kingdom. Mustang is a most remote area, it is a geographic extension of the Tibetan plateau, a windswept land of mountains preserving the last authentic remains of Tibetan culture. 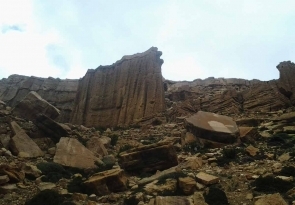 This area was completely isolated from the rest of the world and only opened to trekking groups in 1991. 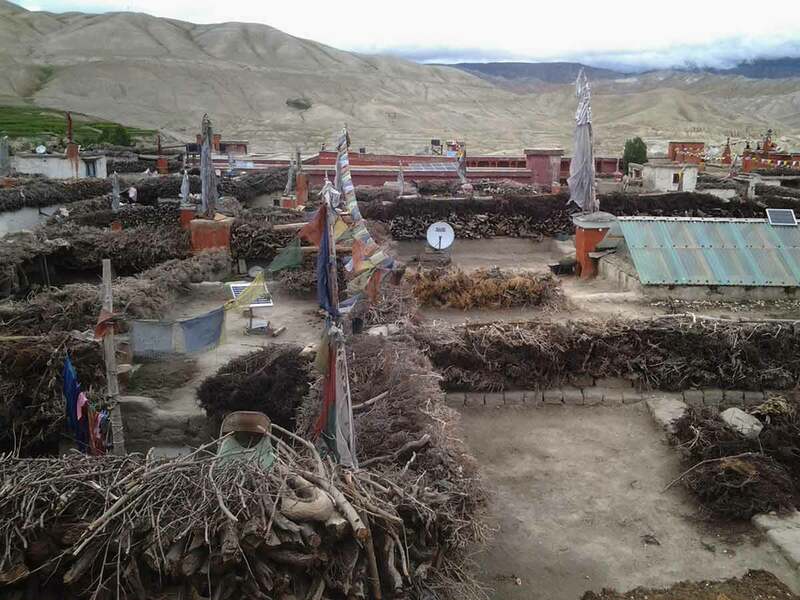 The barley, potatoes, and buckwheat are grown here are the staple diet of the villages through which our trek passes to reach the ancient walled fortress city of Lo Manthang. From here the border of Tibet is just a stone’s throw away. From Lo Manthang we can either return along from the same trail or head back to Jomsom by way of the sacred pilgrimage site of Muktinath. 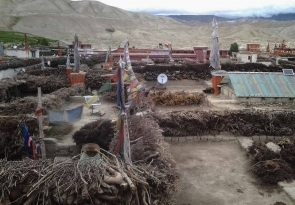 Culture: Different communities with majority of Thakali,Tibetan Lobas and their unique culture. Mode of Trekking: Fully Organized on lodge based. 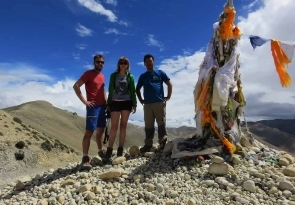 Himalayan Sights: Annapurna range, Dhaulagiri ranges, Nilgiri, Tibetan plateau etc. the most isolated and unexplored corner of the Himalayas. Early we leave for Pokhara, if you wish we can do it in 6 hours by overland or just 35 minutes by flight. It’s your choice. But keep in memory that by overland you will experience the beautiful country sides. In any case, in the afternoon there is sightseeing of caves, the water fall, temples and bazaars of Pokhara. Overnight hotel in Pokhara. 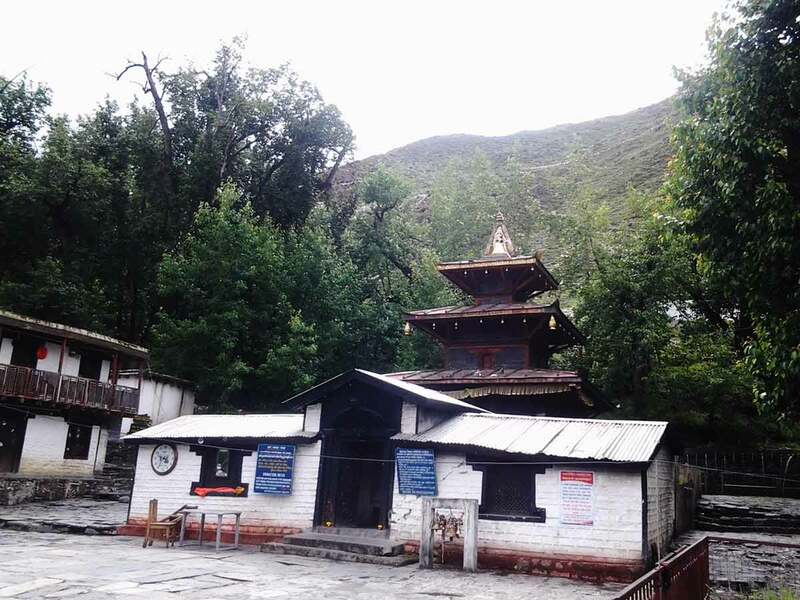 Early in the morning, after breakfast transfer to the airport for a morning flight to Jomsom, a super scenic flight of 20 minutes over the mountains with views of 8,000 meters such as Annapurna & Dhaulagiri, brings you at Jomsom, the district headquarter of Mustang. 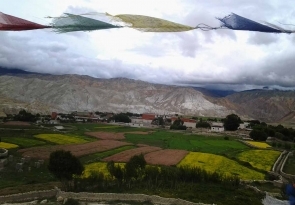 This is a large town, headquarter of the Mustang region; it is also a major village on the Kaligandaki area linking the age old Trans-Himalayan Salt Trade route to Tibet. 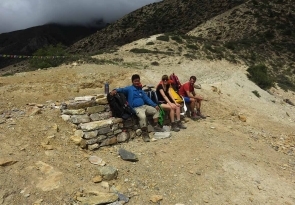 From Jomsom onwards it is very windy in the afternoon, Continue on the gradual path on the Kali Gandaki river bed for about 3 hrs and finally reaching at Ekley-bhatti village. After good stop here an hour of easy walk takes us to Kagbeni, which lies at the bank of two rivers. 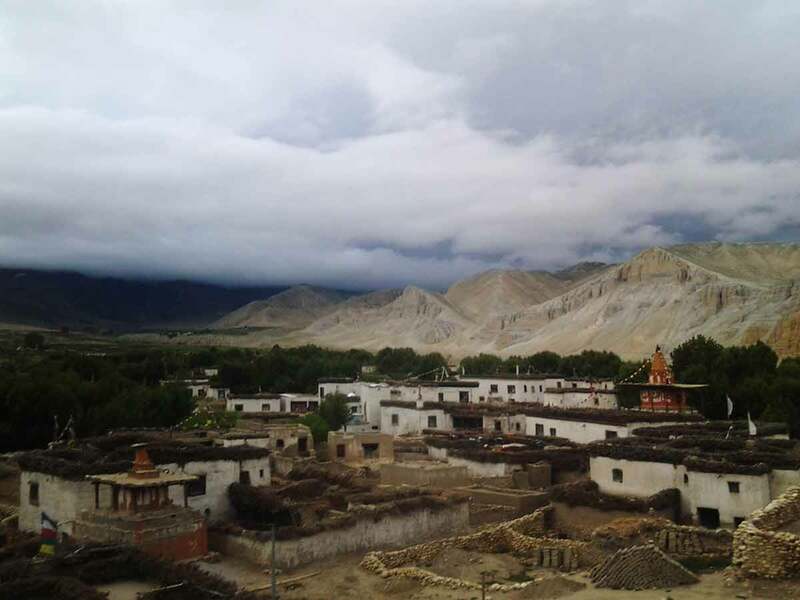 Kagbeni is an interesting windswept villages situated on the main age old Trans-himalayan salt trade route to Tibet via Upper Mustang area. In Kagbeni a major tributory, Kak Khola, coming from Muktinath, meets Mustang Khola, and from there the river is called the Kali Gandaki. Our trip starts with a special permit check up and onwards to the riverbank of Kaligandaki up stream. During the walk we have scenic picturesque place to stop through the sandy and windy trails. This trails follows the up and downhill. Firstly we reach Tangbe village with narrow alleys amongst white washed houses, fields of buckwheat, barley, wheat and apple orchards. From there we trek forward to Chhusang and after crossing the river head up to the huge red chunk of conglomerate that has fallen from the cliff above, forming a tunnel through which the Kaligandaki follows. We head on to small ridges reach at Chele village. Today, we start our trek again and walk further to Eklo Bhatti. 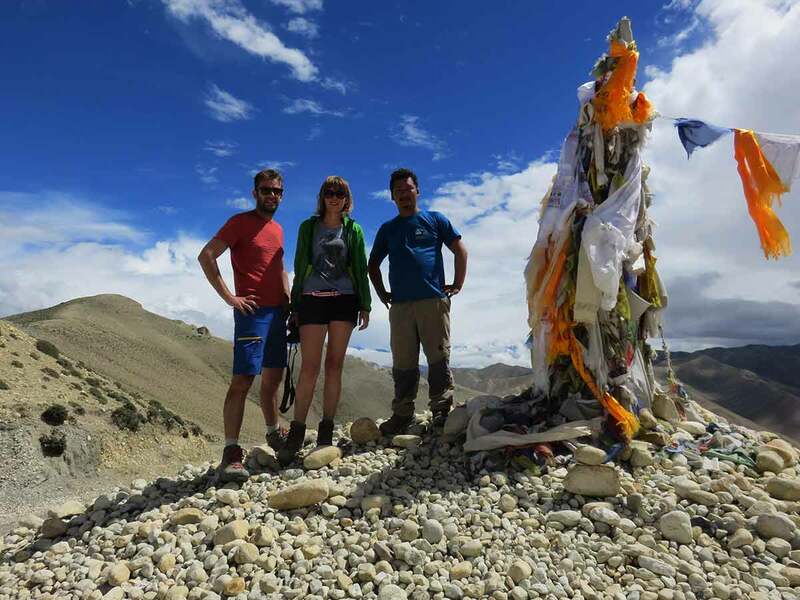 We climb to Taklam La Pass (3,624mt) through plateaus and narrow stretches with views of Tilicho Peak, Yakawa Kang and Damodar Danda. Further descend a little to the village of Samar. Climb the trail that goes above Samar village to the ridge then descending steeply to a stream. Another 3 hrs similar walk takes us to Syanbochen. On the way, we relax along the surrounding of cool streams and juniper trees. Locals use the dried leaves of junipers as incenses to invite deities and start any auspicious work. We also pass by a cave famously known as Ramchung Cave. 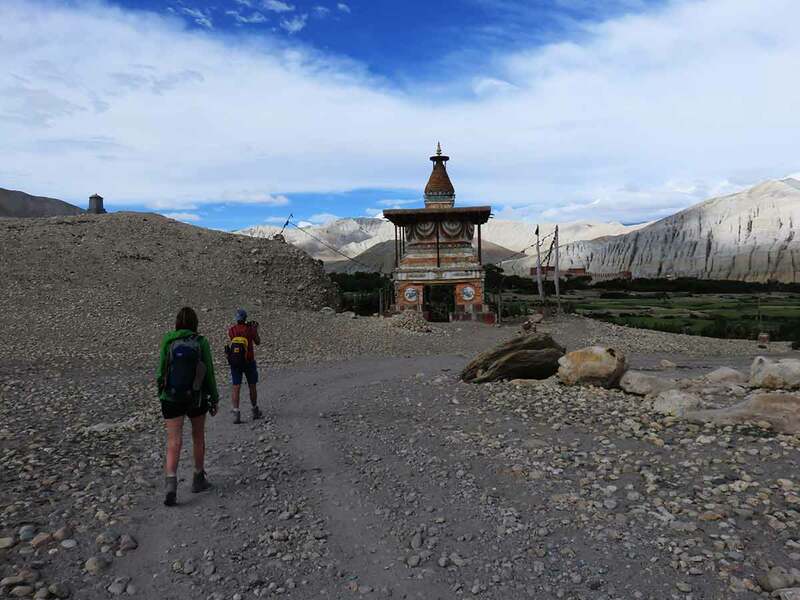 After breakfast we trek uphill to the Yamda La (3,850m) passing a few teahouses, chortens and local villages which is like Tibetan style of houses with open Varanda. We cross mountain passes, and an avenue of poplar trees and fields of Barley. The climb to Nyi Pass (4,010m/13,193ft) would be a little longer. Descend to our overnight stop at Ghaymi. the third largest village in the Lo region, Ghayami is surrounded by large fields most of which are barren. Start the trek after breakfast with a pleasant walk. After crossing Ghaymi Khola, the trail climbs to a plateau and passes beside a very long Mani wall, a sacred stone wall made by the followers Buddhism. From the end of the wall the trail heads east to the village of Charang with a maze of fields, willow trees and houses separated by stone walls at the top of the Tsarang Chu canyon. There is also a huge white dzong and red Gompa to get to our teahouse for tonight’s stop. 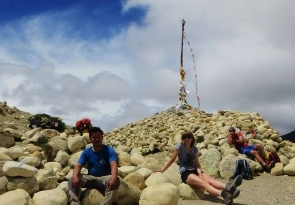 Today, we trek to Lo-Mangthang with a magnificent view of Nilgiri, Tilicho, Annapurna I and Bhrikuti peak. 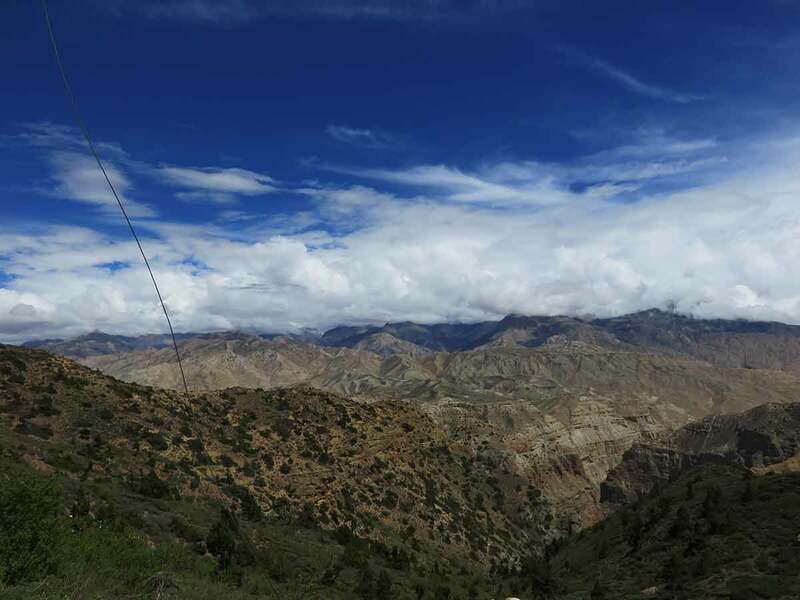 The trail first descends to Charang Chu Canyon and then climbs steeply after crossing the river. 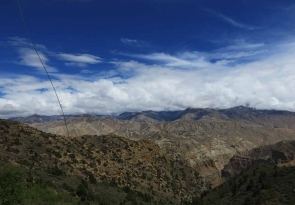 Further the trail ascends gently to the 3,850m windy pass of Lo, from where you can see the Lo-Mangthang Valley. 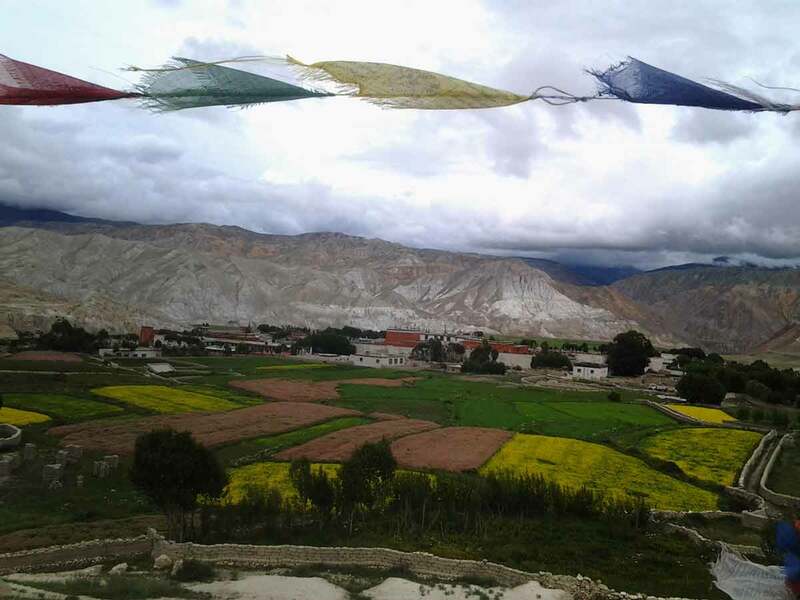 While descending to Lo-Mangthang, views of the walled city appear magnificent with its hills on the Tibetan Border. We stay at lodge for the overnight stop. 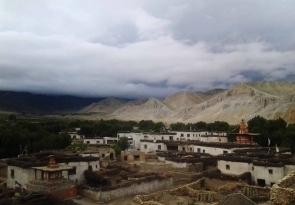 Today we explore the surrounding areas, this city was founded in about 1450 by the son of the legendary Ame Pal, who conquered and united the small kingdoms in upper Mustang. The high wall, 300m long by 150m wide, in an ‘L’ shape, has safeguarded the town from warriors, bandits and fierce winds for hundreds of years and archaeologists say the fact that the wall has not been extended is proof that this community has remained largely unchanged for the last 500 years. Around 1200 people live in about 150 houses, connected by narrow alleyways. Most of the houses are two-storeyed, with the bigger buildings being monasteries or palaces. There are some chortens in front of the main gate, and after these the first building we see is the 40’ high king’s palace. 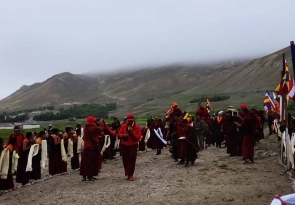 There are three monasteries in Lo Manthang, but monks are only resident in the newest, Chode Lhakhang, which is about 200 years old and offers secular as well as Buddhist teachings. 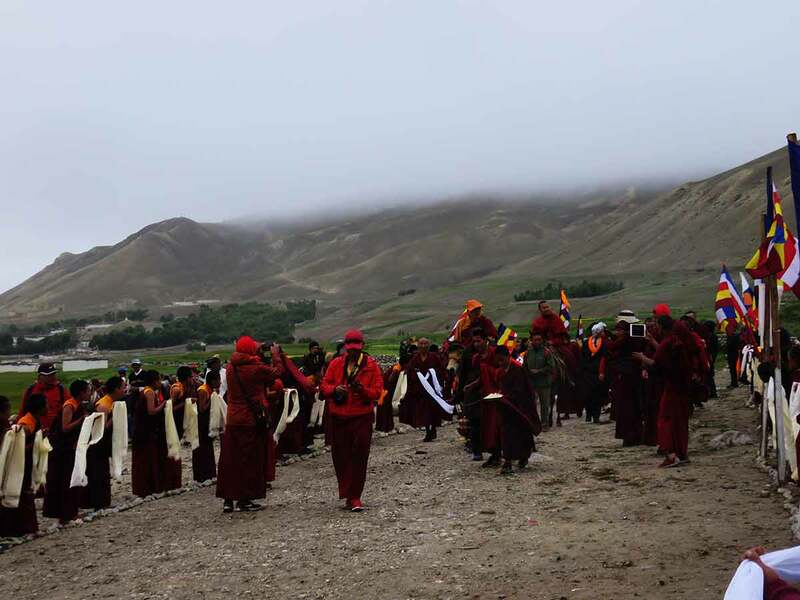 The other two monasteries are no longer used, but are looked after by different families, who share the duties of changing the water each morning and lighting the butter-lamps when night falls. Many people here protect their homes from evil spirits by hanging ‘ghost traps’ over their doors – these are decorated goat skulls with pieces of string knotted around). 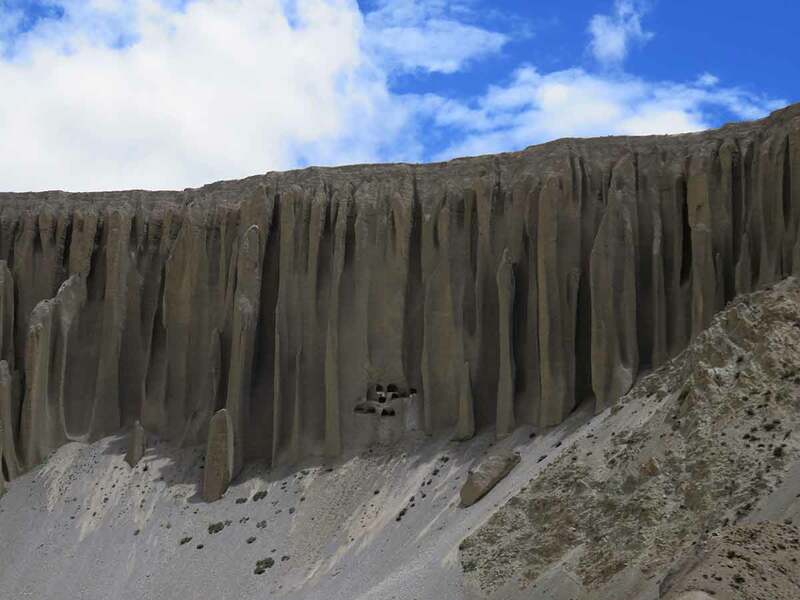 The landscape around Lo Manthang is jigsaw-like in its diversity, being composed of valleys, canyons, plains, snow-topped mountains and rivers, with the ancient city as the centerpiece. Today it is a challenging trail lead up and downhill, the trek from Lo-Manthang to Yara is harder but more satisfying and interesting then the west side of the valley crossing through river with the panorama views of Throung peak, Damodhar Range, the Yara village is one of the best village of whole Lo-Manthang and it seems more successful and it is established in a very suitable place. After breakfast, get up and ready for trek, first few hours through River bank then after crossing River, the trail climbs up till the pass of 3850m then trail lead through grassless, bare hills, Tange is small village but most of the house are attached each other, on the roof tops can see piles of fry woods, which also reflect the prosperity in their society. After breakfast, we trek downhill through river up to Paha then continue trek uphill about 6hrs to Chusang. 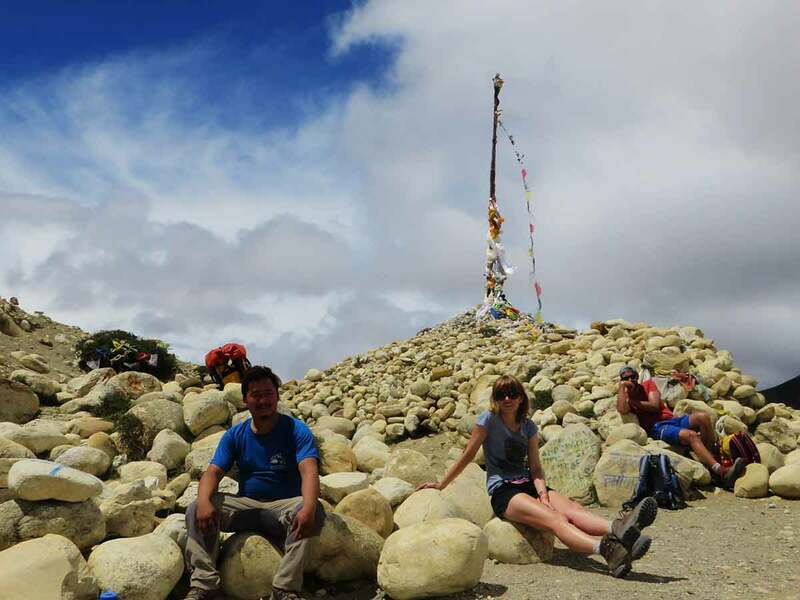 Early in the morning after breakfast, we start trek, it is the hardest day today, cross Gyula pass 4077m, and continue trek to Muktinath with the best panoramic views of Annapurna, Dhaulagiri, Tukuche, the Muktinath is an important pilgrimage center for Hindus and Buddhist. The most well-known holy place is a Vishnu temple where are 108 spouts, fashioned in the shape of cows’ heads, pour forth water that is considered to be holy. This water is channeled from a stream running above the temple. The temple is built in Tibetan style and contains huge brass idols of Vishnu, Shiva, Brahma, and Kali. An early breakfast, we better start early as the wind gets up after 11 am making walk a bit more challenging. 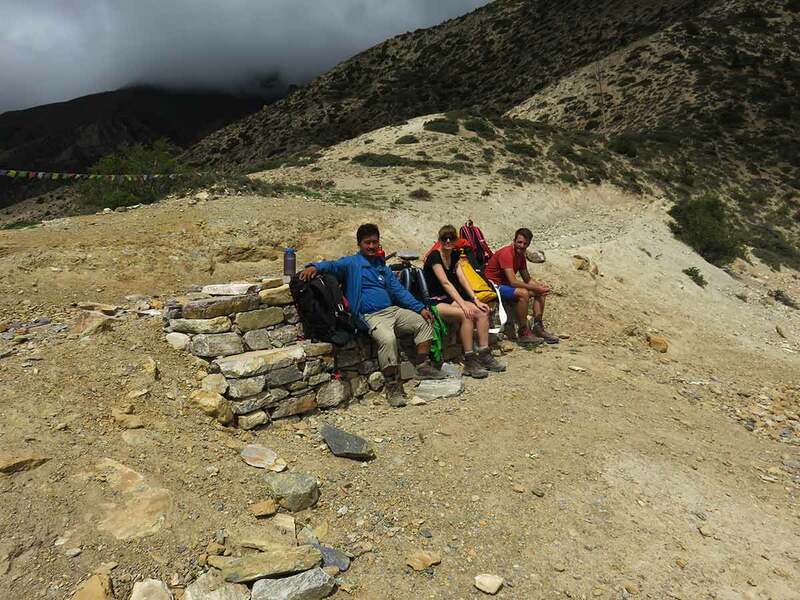 Chill out on this section and enjoy the views of many different mountain ranges. After an early breakfast we check in the airport for fly back to Pokhara, a 30-min dramatic flight to Pokhara between gorge of the two huge mountains, Annapurna and Dhaulagiri. On arrival at Pokhara airport, transfer to the lakeside hotel. We make use of the rest afternoon for discovering the beautiful Pokhara valley leisurely. While we walk along the bank of Fewa Lake, the second biggest lake of Nepal enjoying the Fish Tail Mountain reflected in the lake. You can also take a boat around the Fewa Lake or just can take an hour’s walk to the World Peace Pagoda. Evening time, we spend exploring around the lakeside. Free day in for the shopping and explore the Kathmandu city.